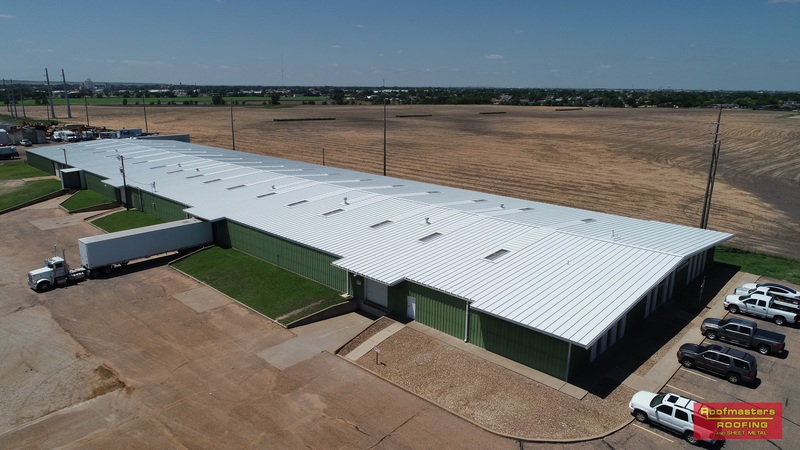 Bossier City, La., April 16, 2019 — The versatility of a symmetrical standing seam metal roofing system has given birth to a new way of dealing with damaged metal roofing. 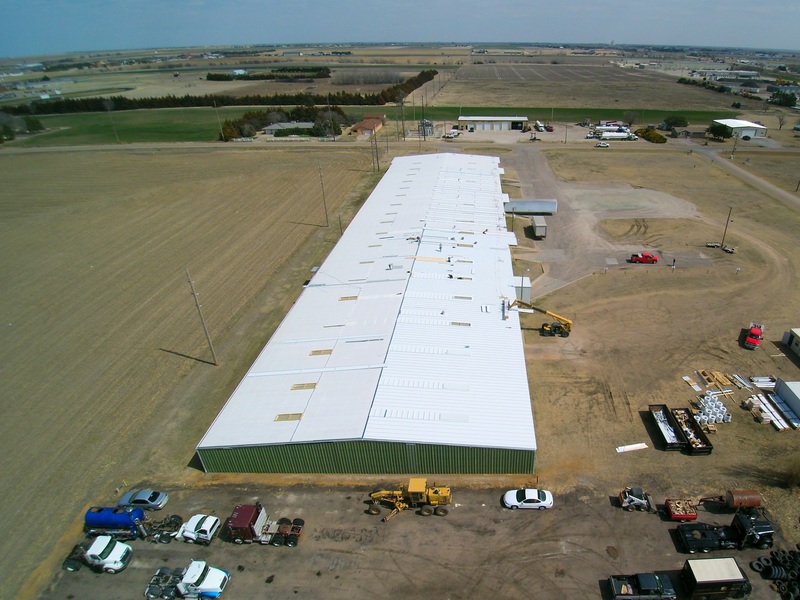 Northwest Distributors in Hays, Kan., is a busy warehouse, dealing with auto parts and supplies. 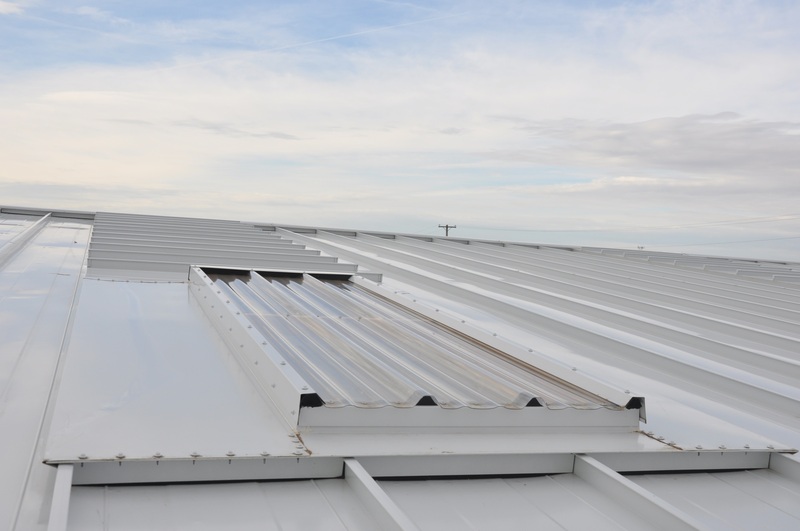 The R-panel roofing on the original building and an addition both sustained damage in several hailstorms over the years. 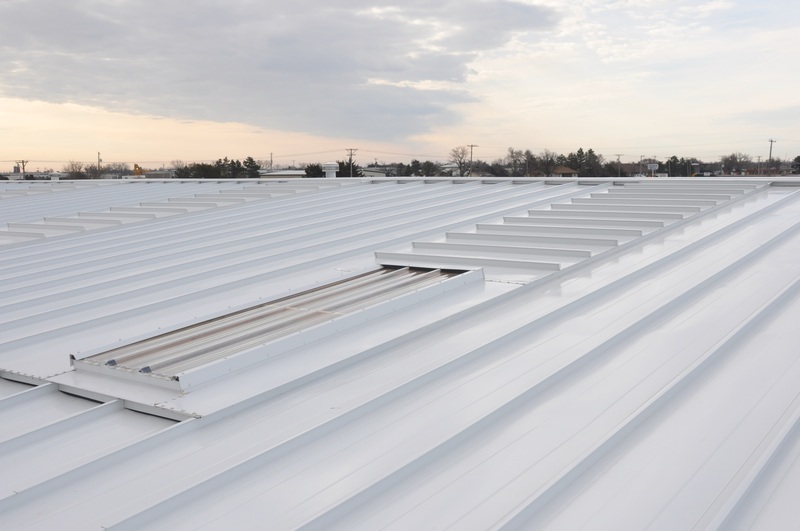 After a 2017 hailstorm, the insurance company for Northwest Distributors agreed a new roof was needed and it would cover the damage. Beneath the center of the transverse panels, a center support was installed. 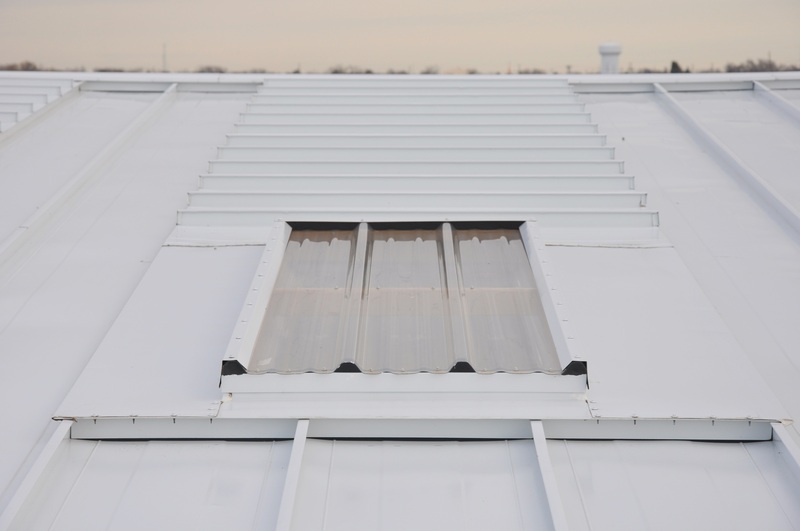 In addition to support, it adds a little pitch to the transverse panels to aid water flow. 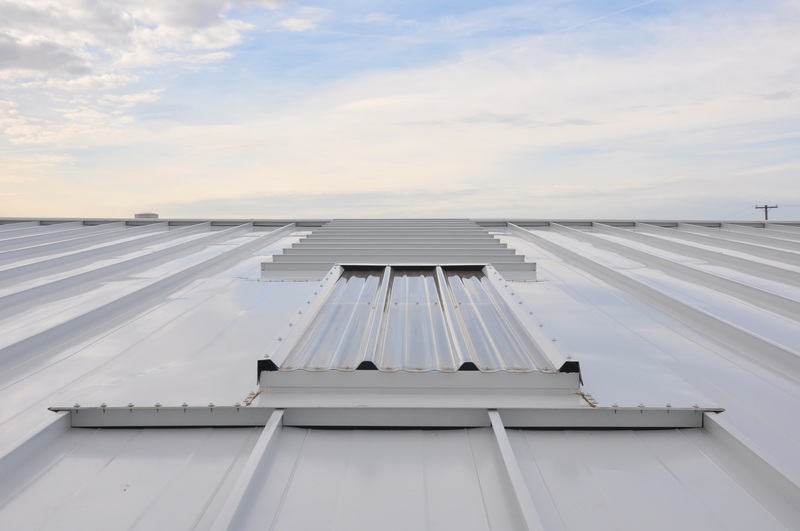 Installer: Roofmasters Roofing & Sheet Metal, Hays, Kan.